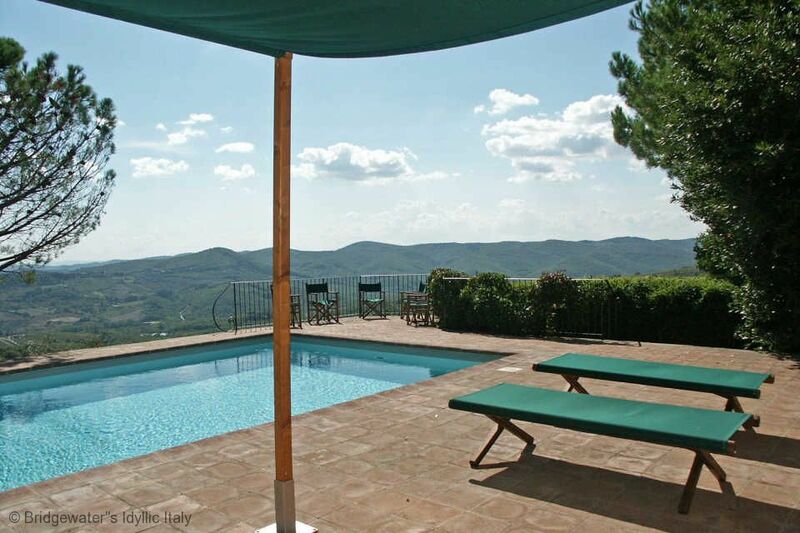 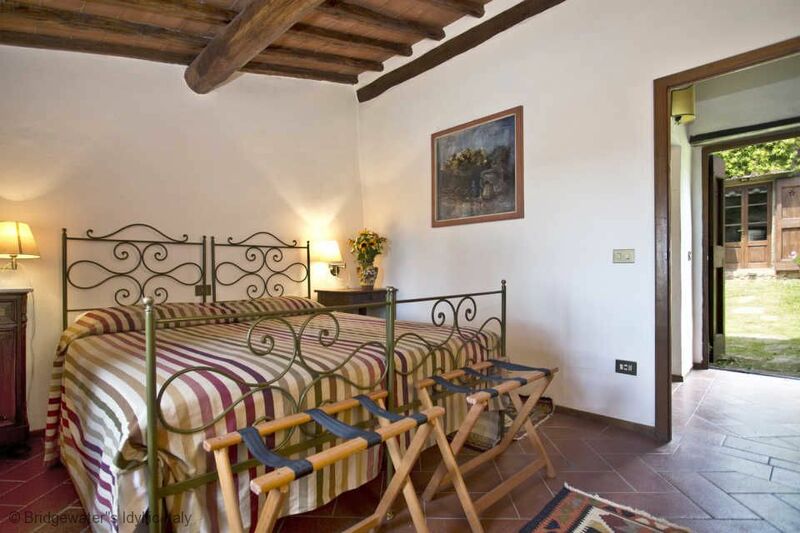 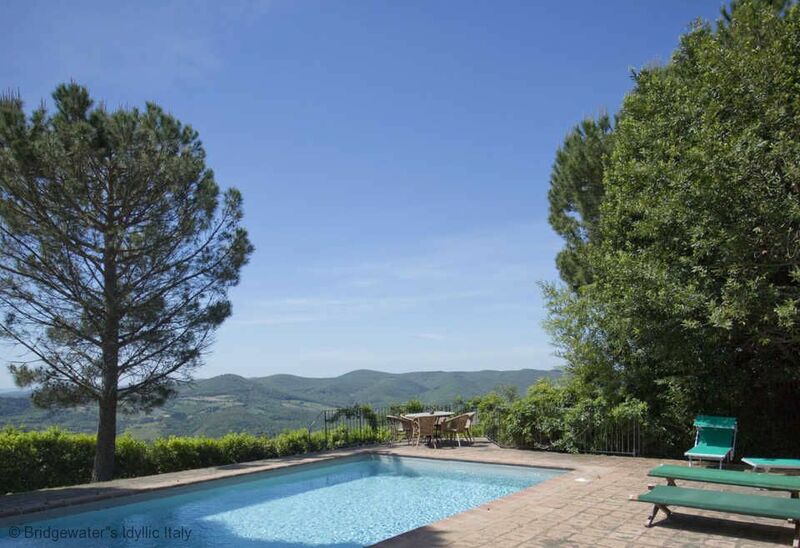 Wonderful villa in Chianti, with restaurants within walking distance, situated on a renowned local wine producing on estate. 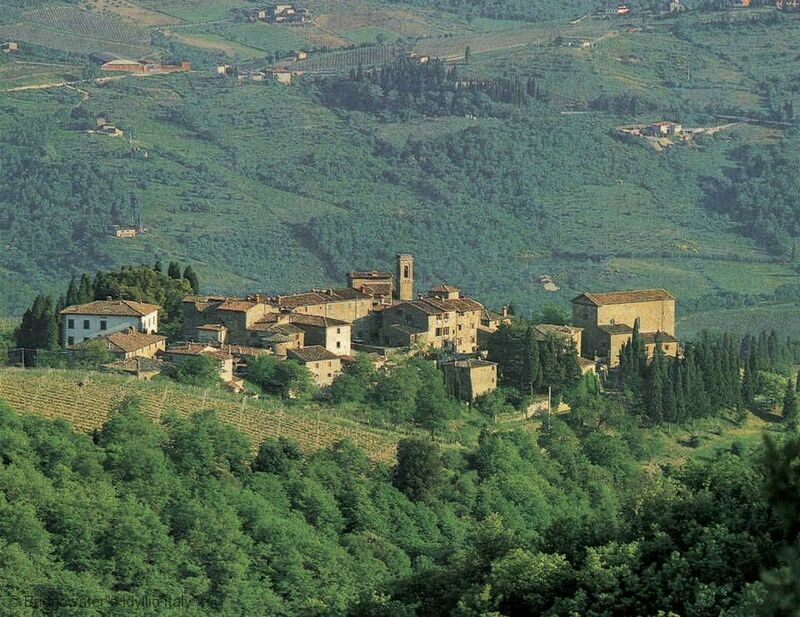 In 2015 the wine made here was listed in the Wine Spectator's TOP100 wines. 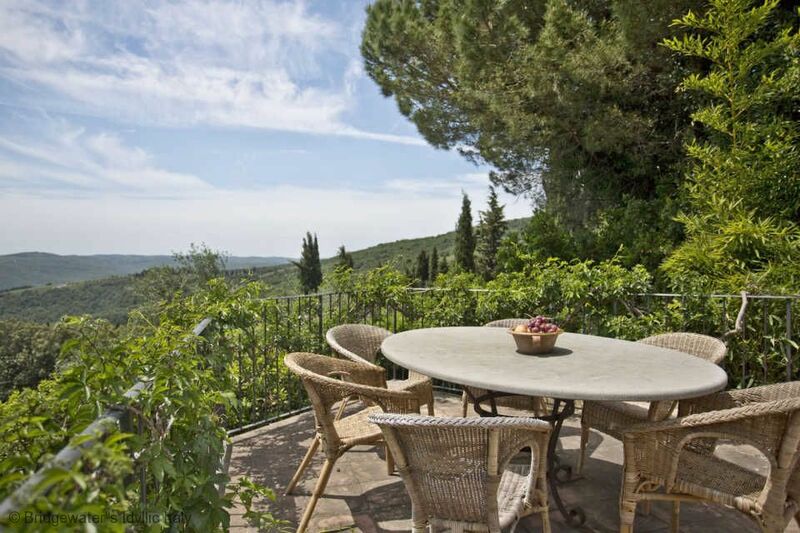 Private and panoramic position with tennis court on the estate. 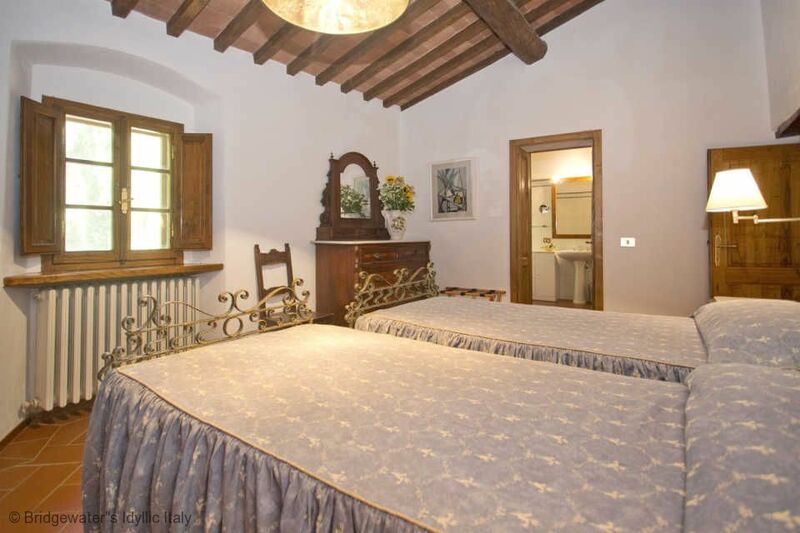 4 hours maid service included 5 days a week, cook service available. 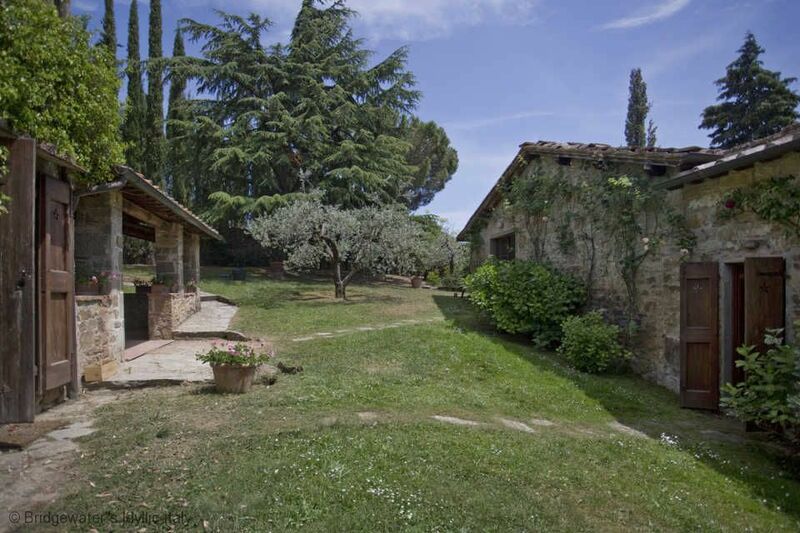 Wifi and BBQ. 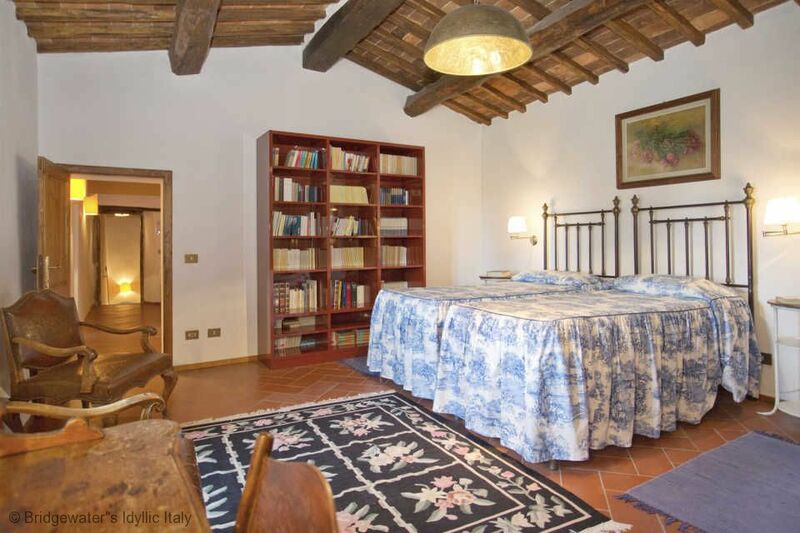 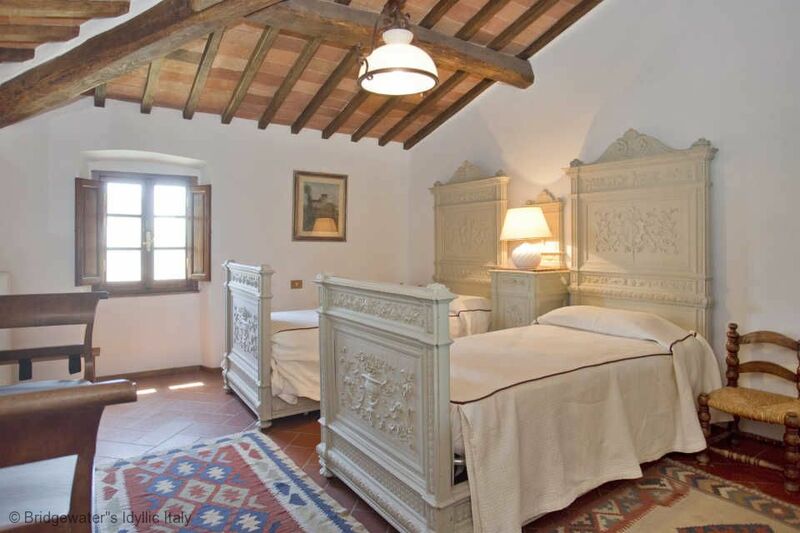 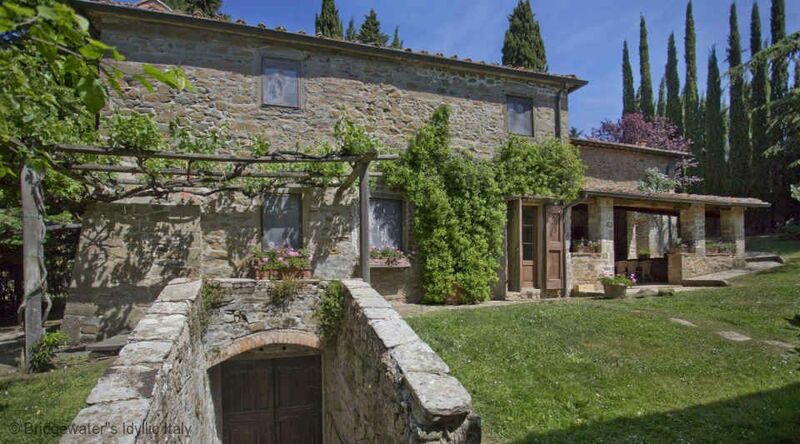 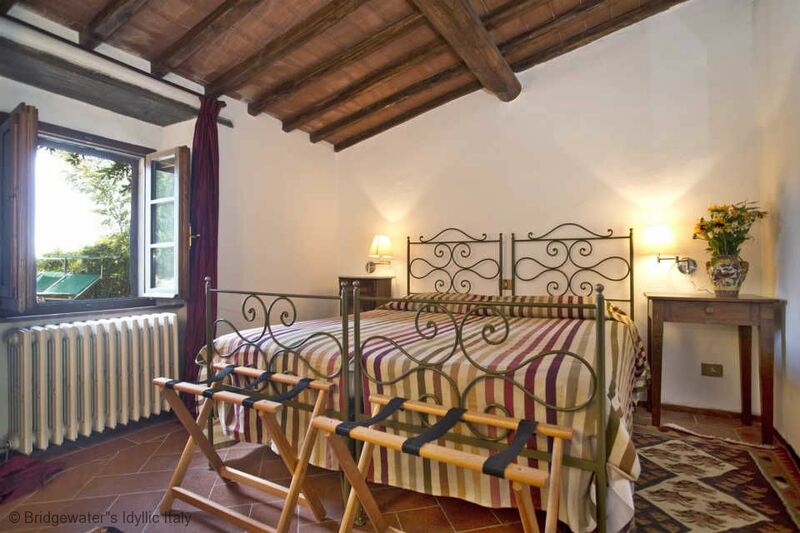 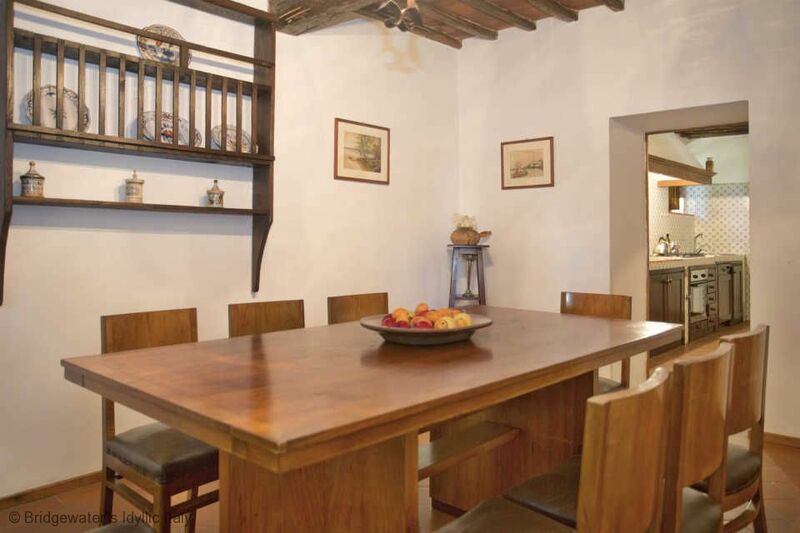 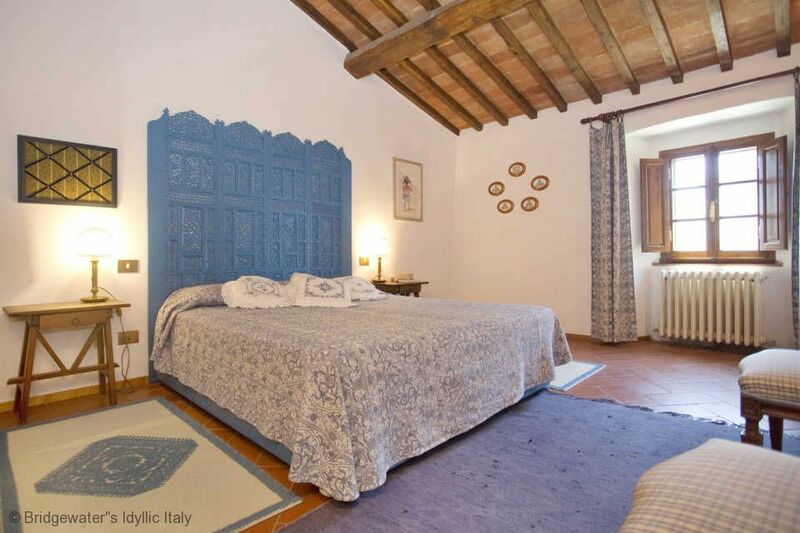 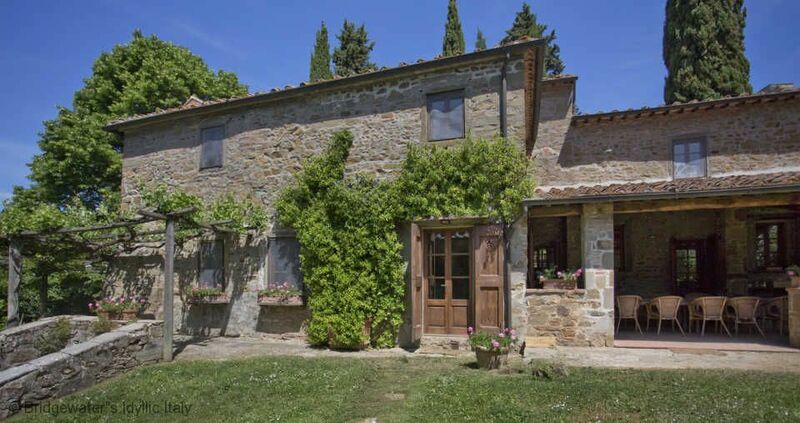 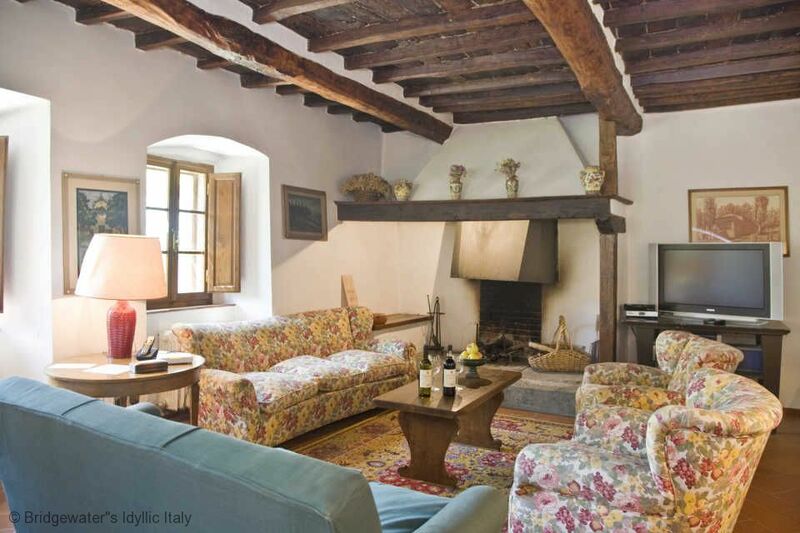 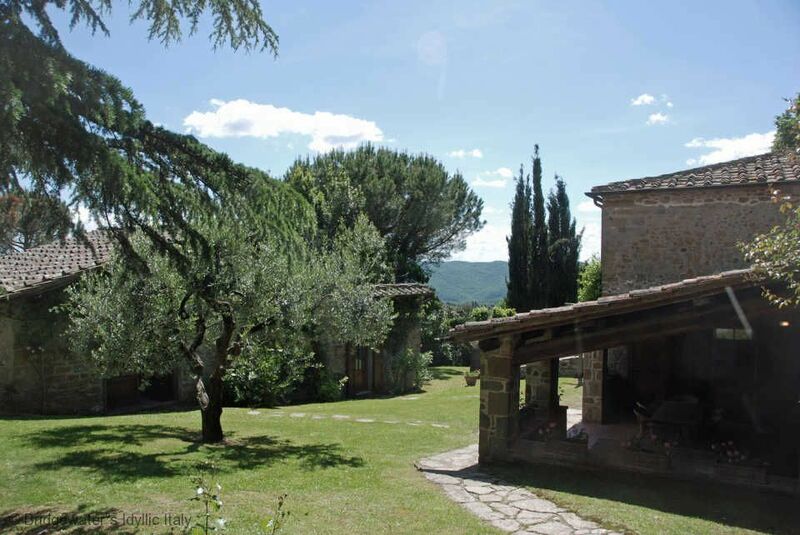 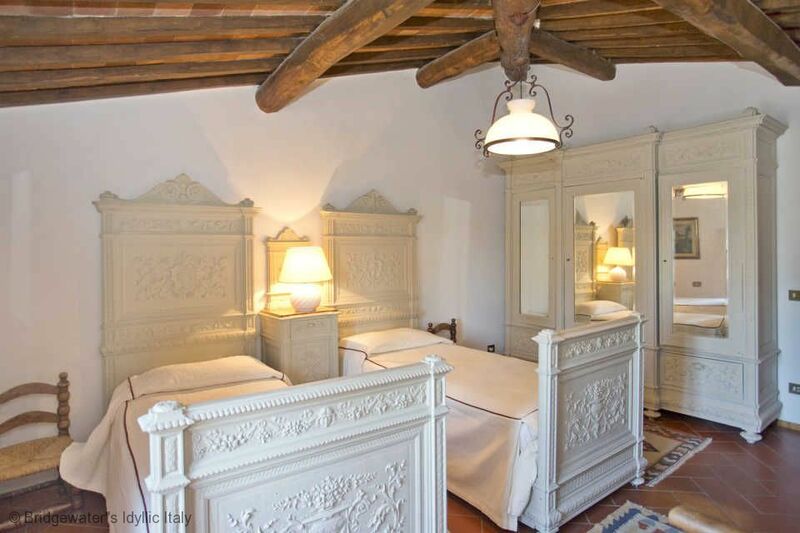 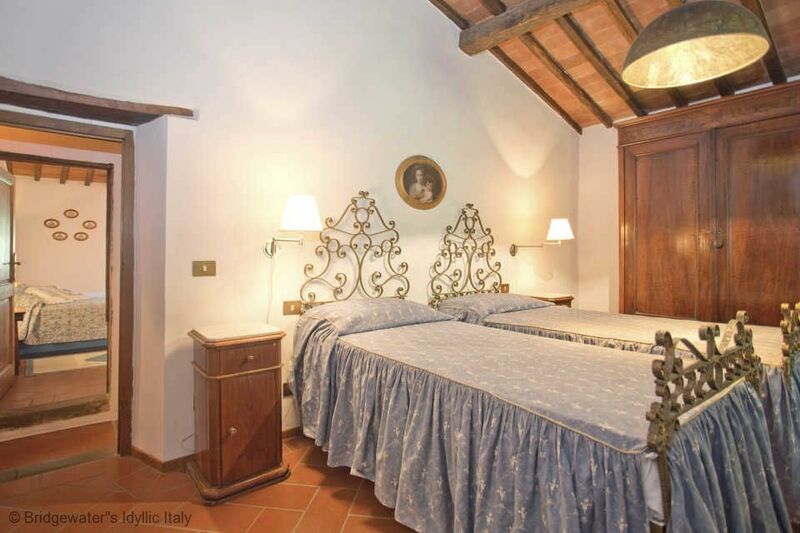 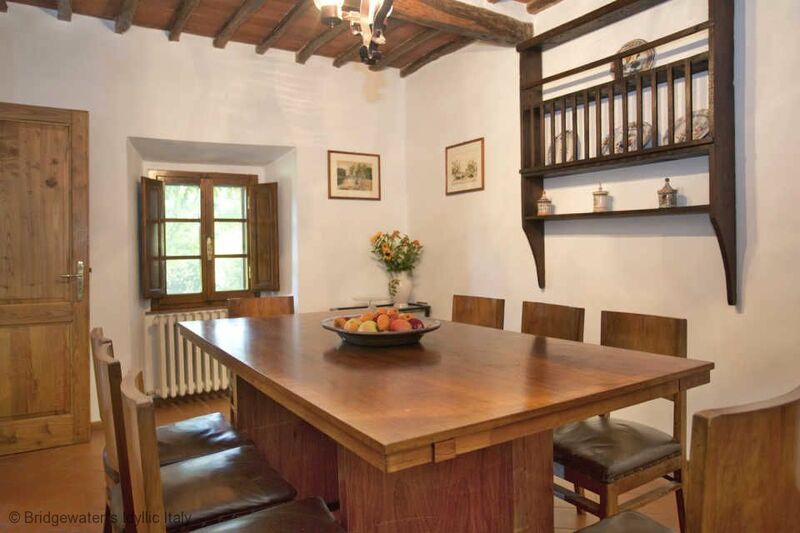 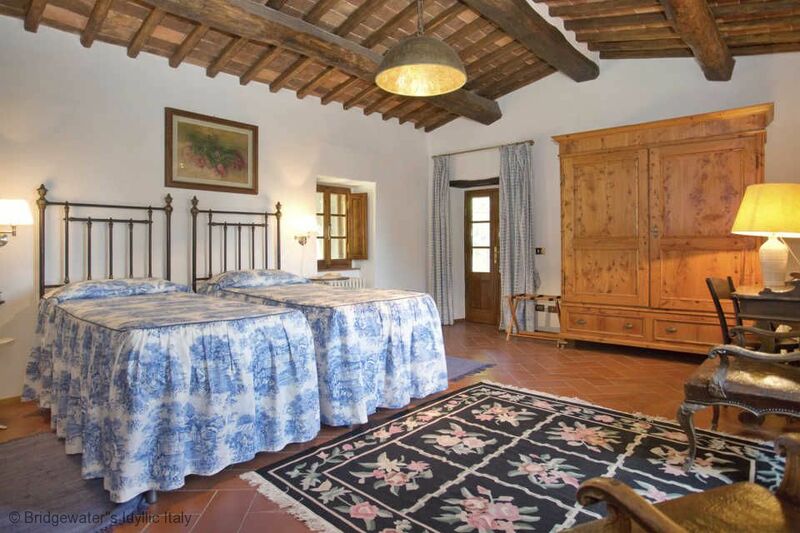 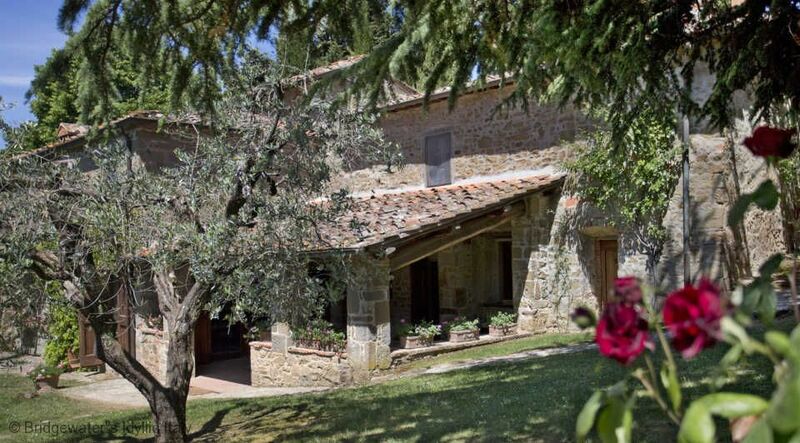 This property is located in the fortified medieval hamlet of Volpaia, in the Chianti Classico area, in a secluded position ensuring complete privacy. 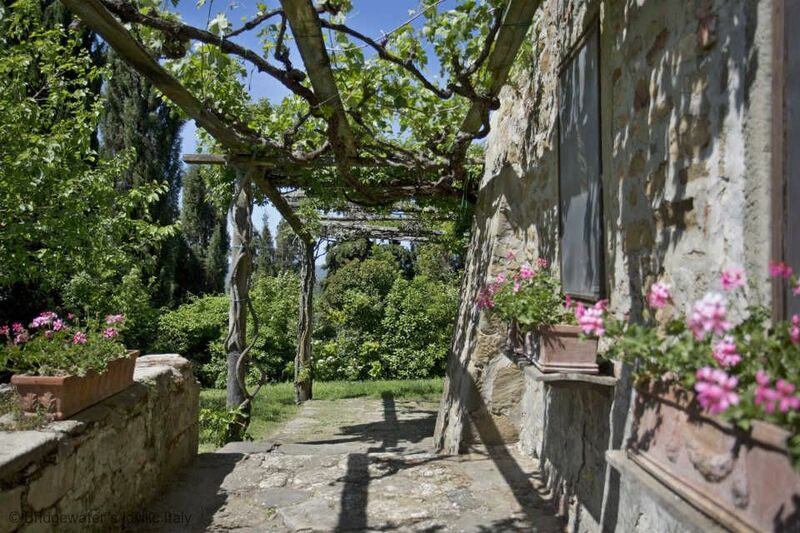 It is just a 300 metre walk to the centre of the hamlet, with two restaurants, one of which managed by the Castello di Volpaia farm, where it is possible to taste the local cuisine. 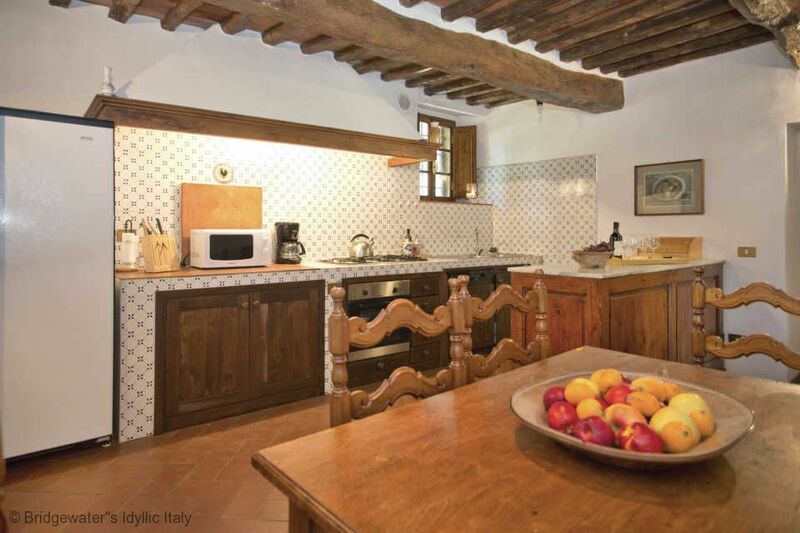 Cooking classes are also arranged, on request, by the English-speaking local office. 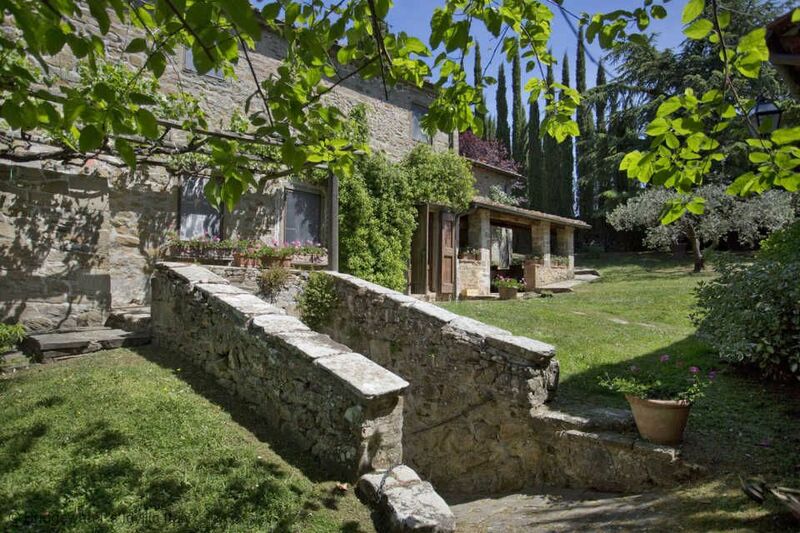 The house has a pretty garden with trees, vines and pots of geraniums. 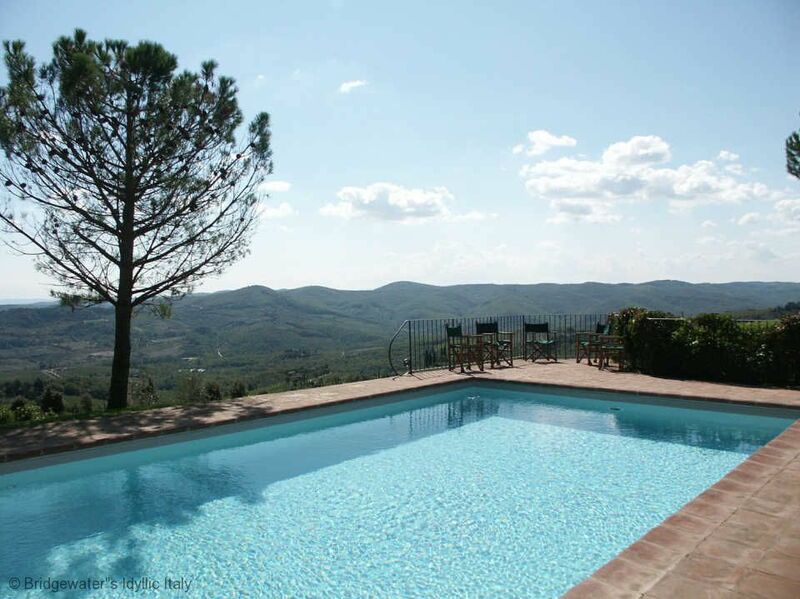 The swimming pool is in a beautiful position with wonderful views over the surrounding countryside. 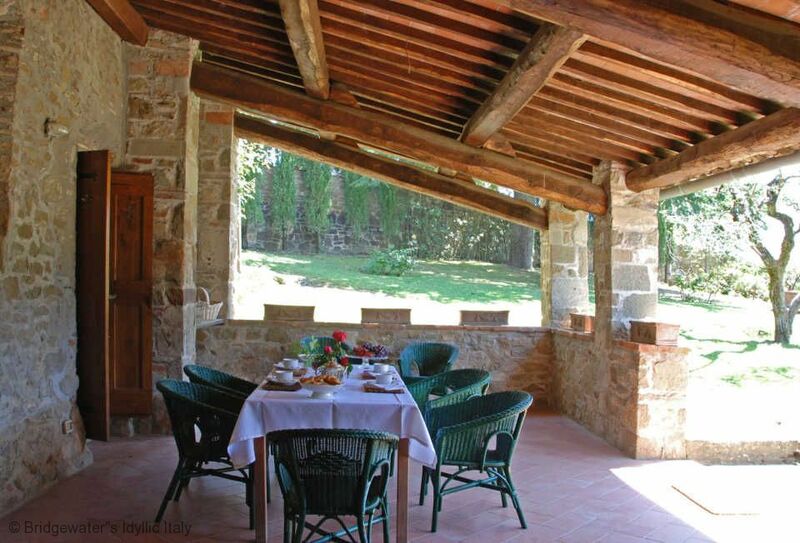 There is a covered dining area just outside the house and another shady pergola for sitting and relaxing outdoors. 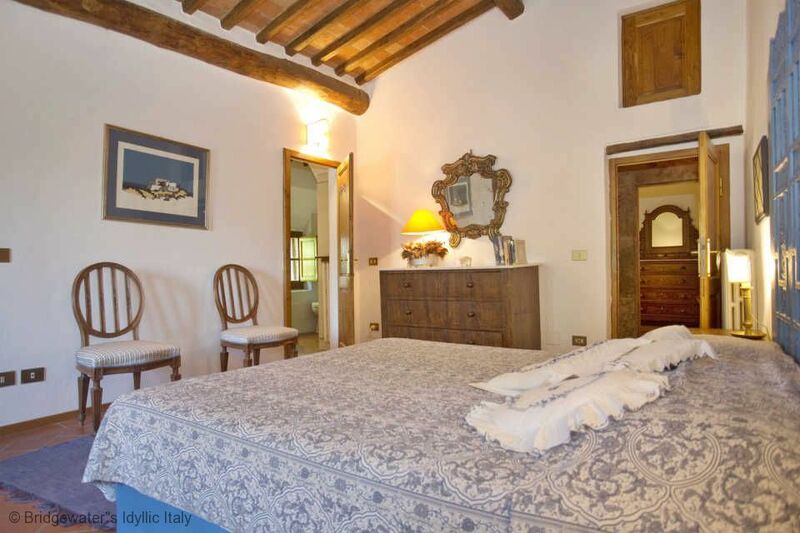 The interiors have been very tastefully restored, using traditional materials, combined with modern comforts, including satellite TV, as well as well equipped bathrooms and kitchen. 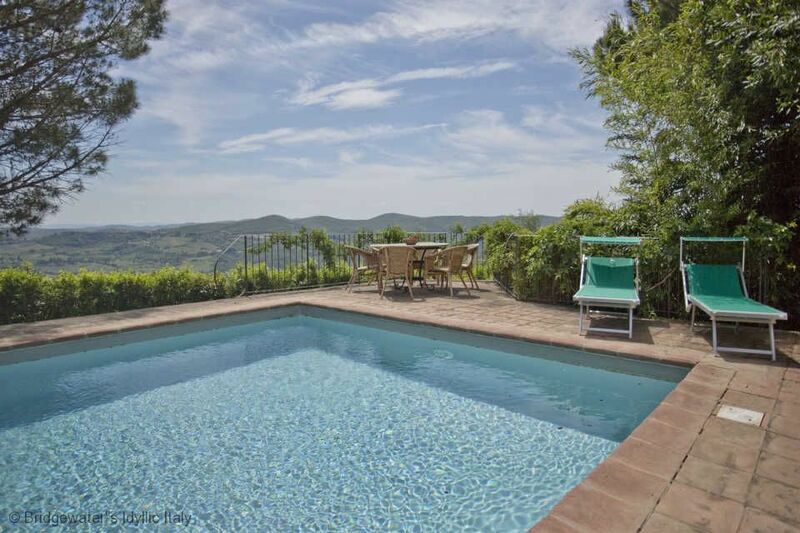 There is a tennis court, 200 metres away, available on request. 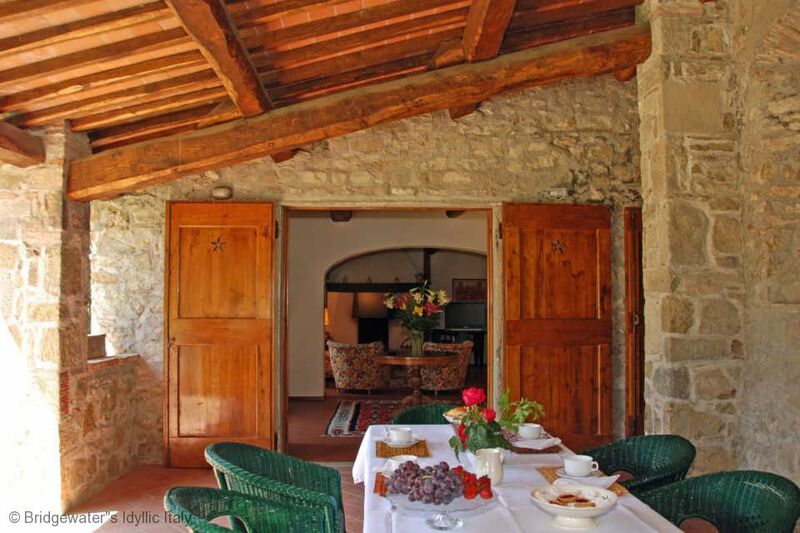 Ground Floor: Entrance; sitting room with fireplace opening onto the garden and big covered patio with table and chairs for eating outside; dining room; kitchen also opening onto the patio; single bedroom; bathroom with shower only. 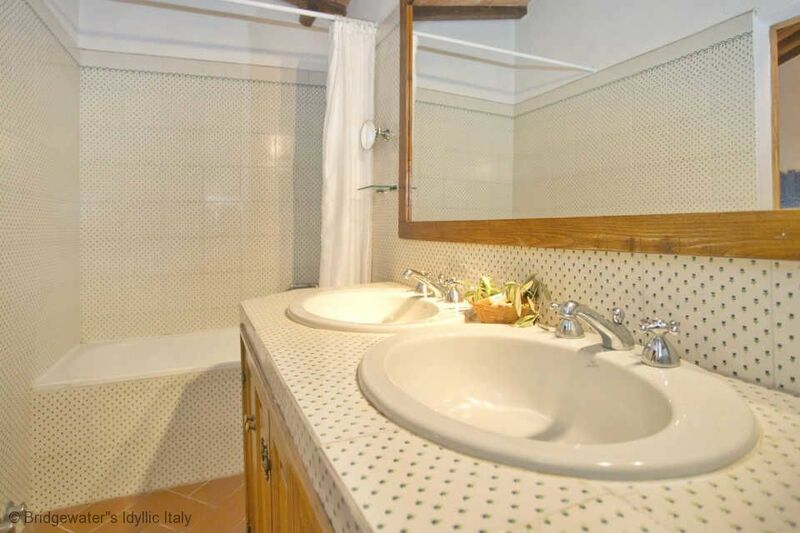 First Floor: Master bedroom with bathroom en-suite; twin bedroom with bathroom en-suite (bath and separate shower); twin bedroom; big twin bedroom with door opening to the garden; bathroom (bath and shower). 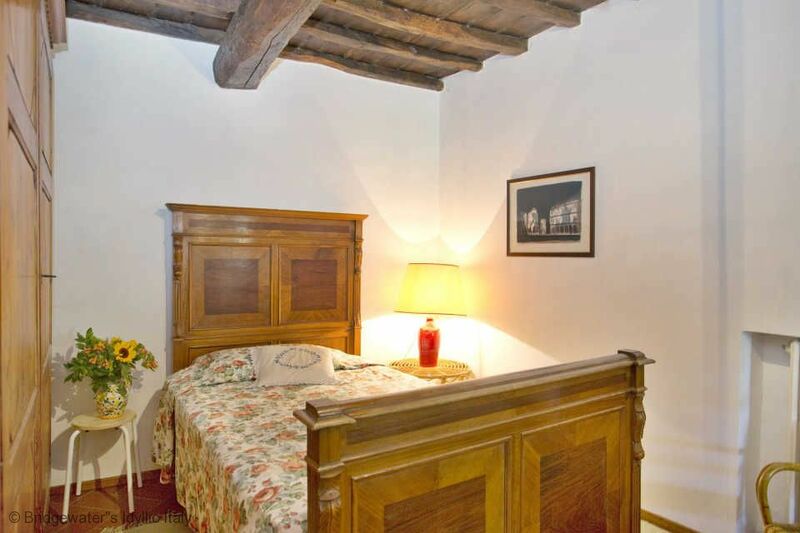 GUEST HOUSE: Twin bedroom with bathroom en-suite; living room opening to the terrace and pool. 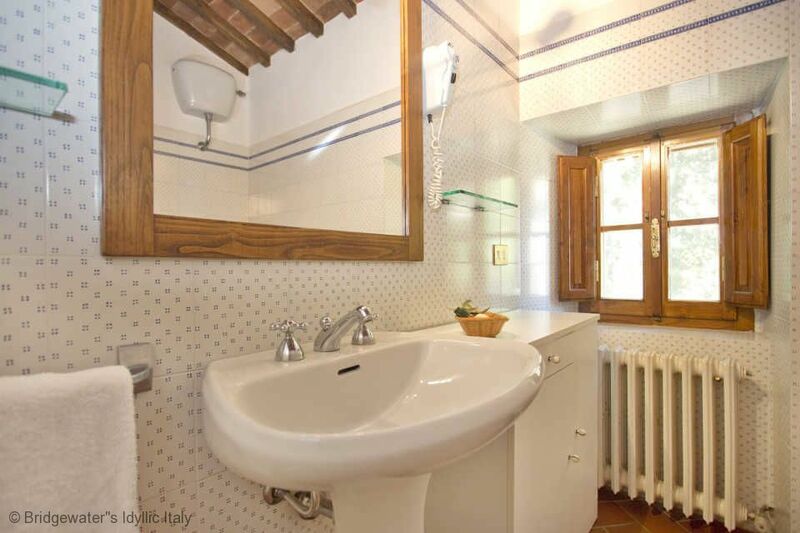 Maid service is included 4 hours a day 5 days a week. 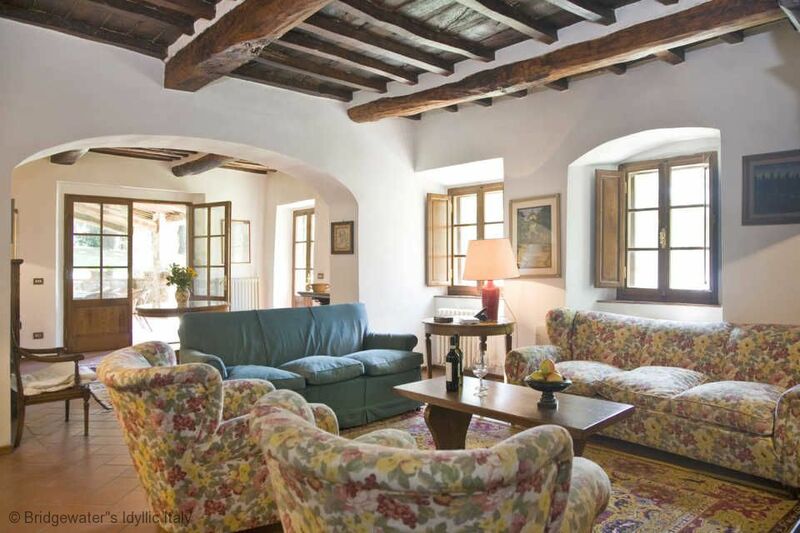 Security deposit: 1.000€ to be paid in cash or signed travellers cheques upon arrival. 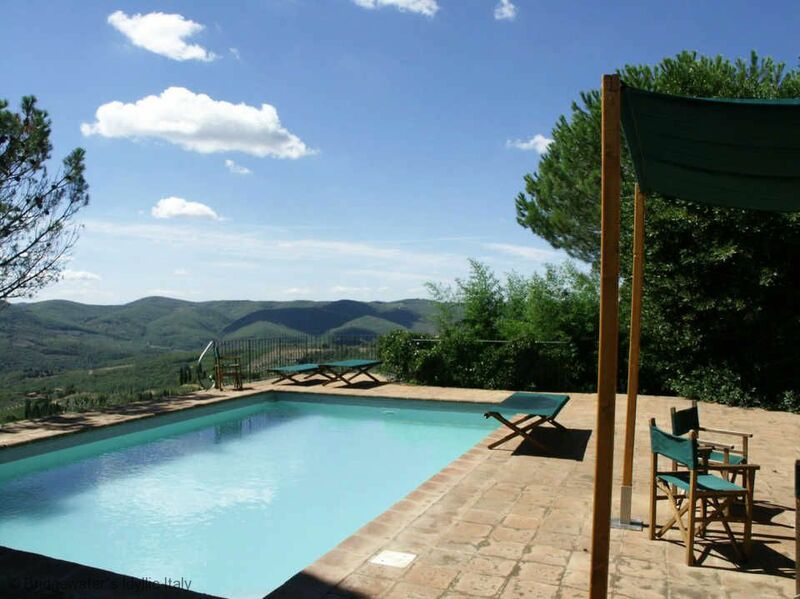 Tourist tax is payable locally.